Native to Central America, bromelia has adapted well to our climate and our apartments. The colors of its beautiful flowers are bright and vibrant. It was Columbus who brought the first bromeliad to Europe, namely the pineapple, immediately afterwards other species of Bromelia, Guzmania, Vriesea and Aechmea arrived. Among the many varieties we can find Bromeliads that adapt to outdoor life, thanks to their resistance to low temperatures. The single Bromeliad plant blooms only once, so once it has faded, it will not give us a new flower, but if we continue to treat it, it can give us new plants, and then new flowers. In fact, after flowering we will notice the appearance of new plants that emerge from the base. Just let them grow for a few weeks, or until they have reached half the height of the mother and then detach them, possibly with the roots, and put them in a jar with some earth. The ideal soil for Bromeliad is composed of sand and a mixture of pine leaves and needles. After about a year they will be ready to give us a new flower. But they will need a little help, put an apple in the middle of the plant and cover it with a plastic bag that will close, leave it for three weeks. 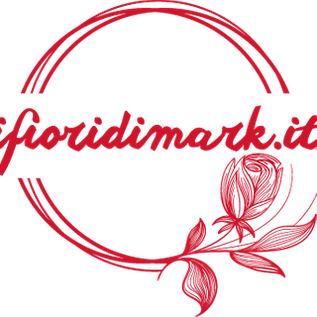 In a few months you can admire the results of your work, a beautiful flower! 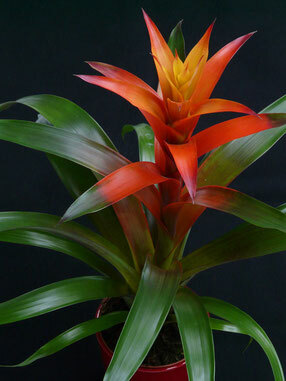 If you do not have a green thumb, Bromelia is the plant for you, in fact it is particularly resistant. It needs a lot of light, but you have to protect it from direct sun, the watering must be regular and preferably in the goblet of the plant. During the summer, so in the hot period, Bromelia should be bathed every day, while in winter, it will be enough to give it some water every 25/30 days. These few attentions will be enough for your Bromelia to be happy, it does not need to be fertilized. Bromelia in nature uses its leaves to get nourishment and water, even in the apartment is not different, so if you want to cuddle on a hot day you just take a spray and spray the leaves, or put a container near the plant with water and let it evaporate, it will thank you by becoming even more beautiful. The only negative is that Bromelia flowers only once, so if we still want to beautify our house with its beautiful flowers we will be forced to buy more, or arm ourselves with patience and continue to treat them. The most frequent diseases of Bromelia are: the cochineal, the red spiders and can rot because of too much water. The existing species of Bromelliaceae are many, and among the many stands out an aerial, grows quietly on the trunks of plants taking the nourishment and the water that needs absorbing them from the leaves and roots, and not from the plant to which it rests. This is a very particular plant, and since it does not need a pot with the earth, it can be placed quietly on a particular piece of wood or in glass containers with a bit of bark. A gift a little special for plant lovers who will make you look great.